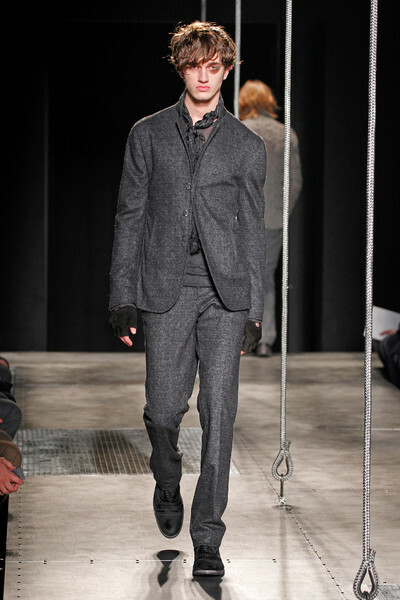 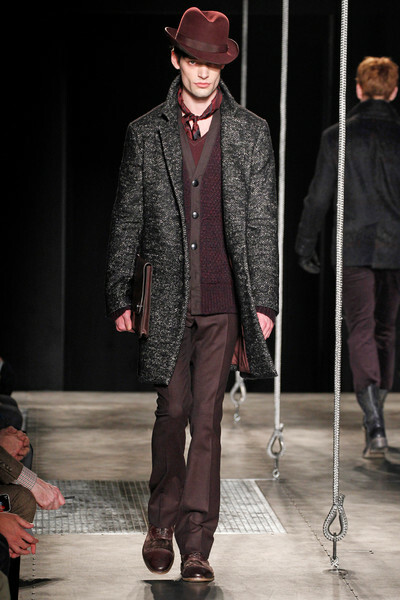 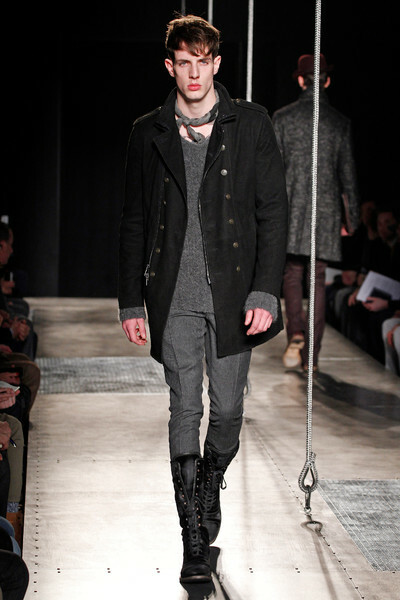 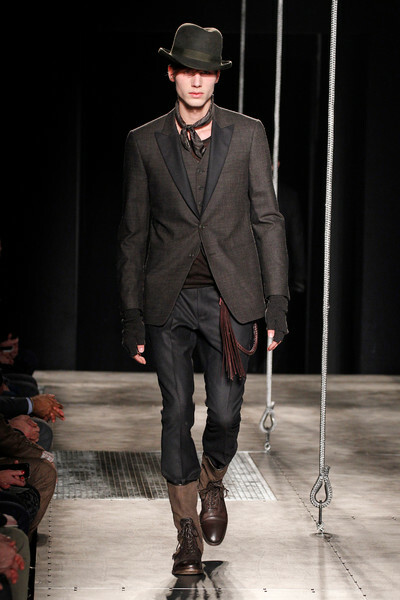 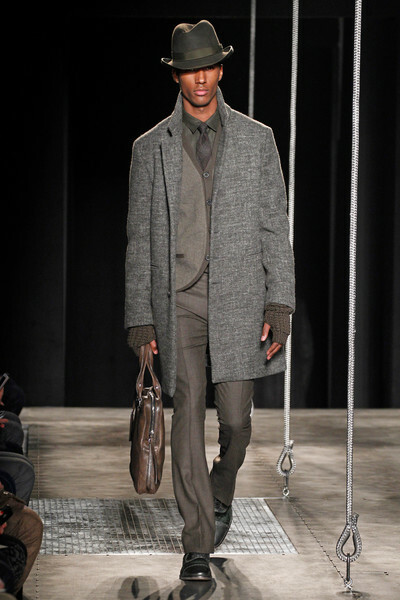 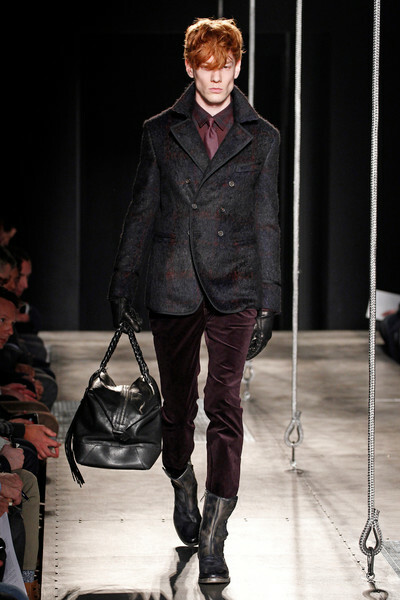 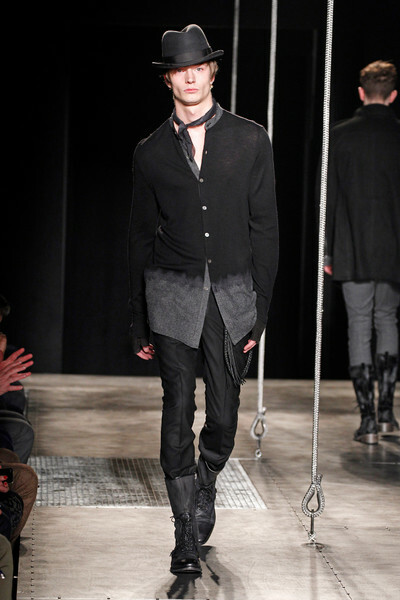 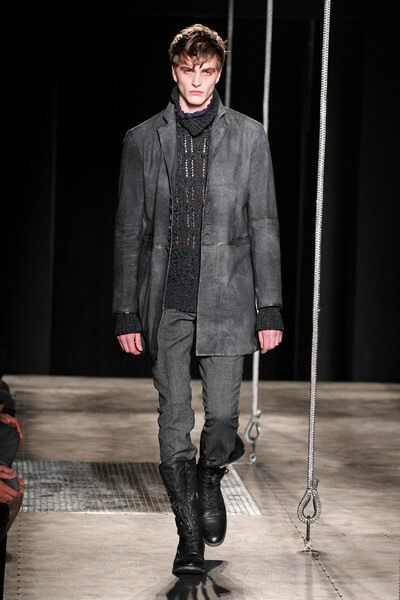 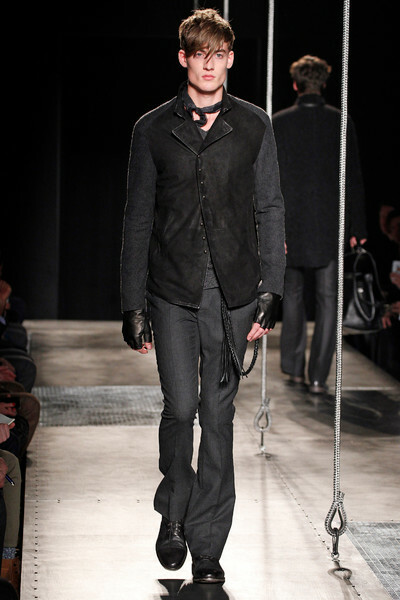 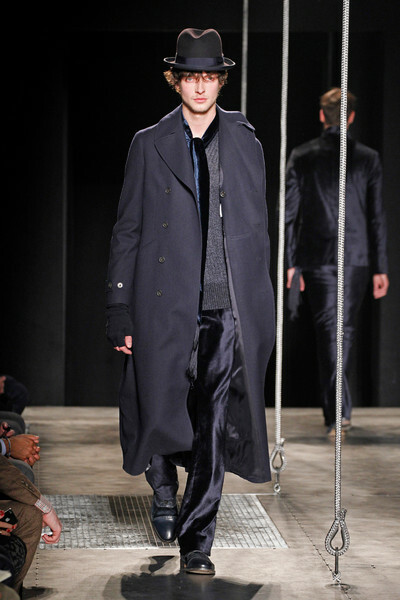 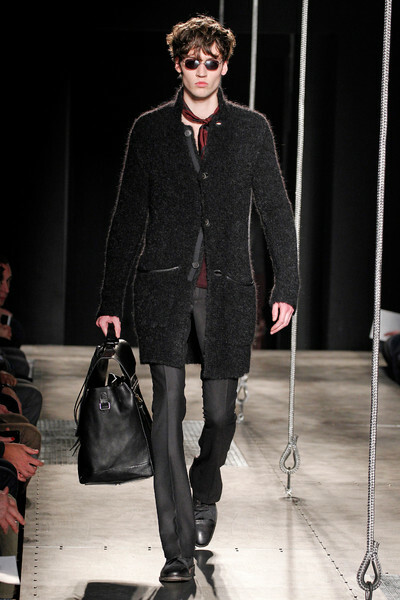 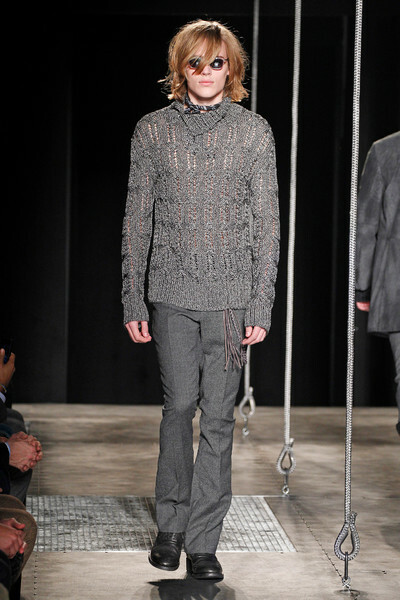 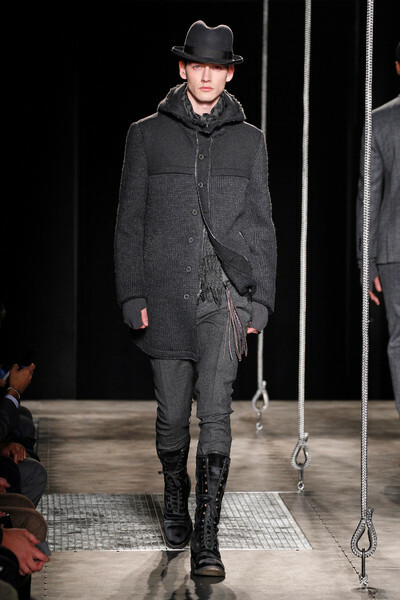 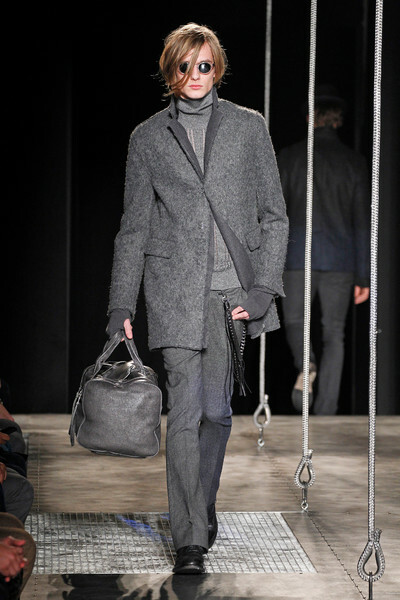 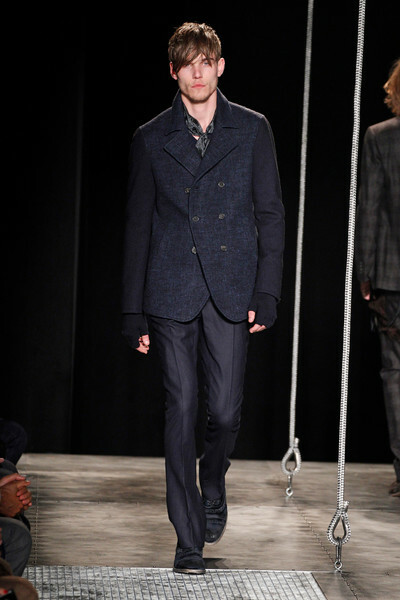 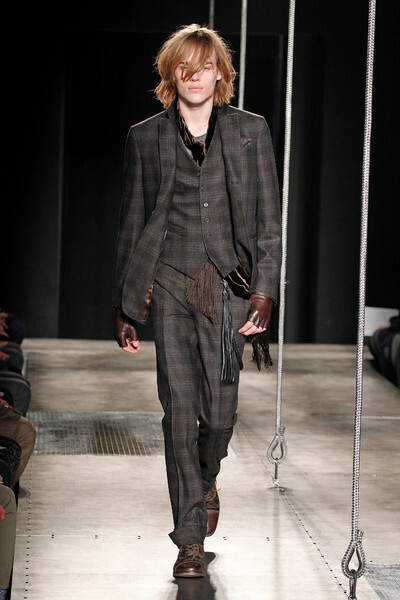 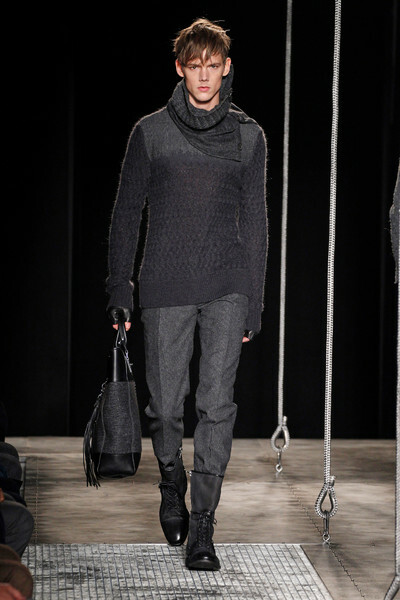 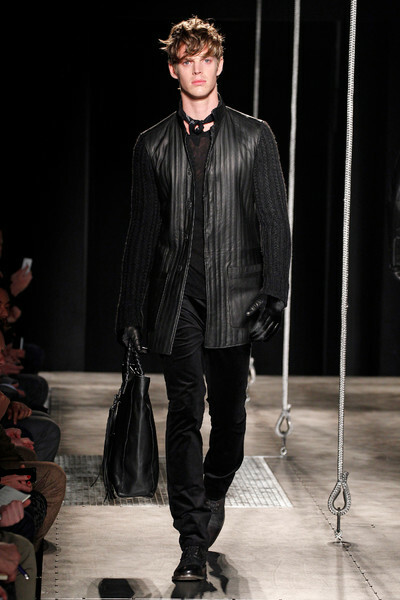 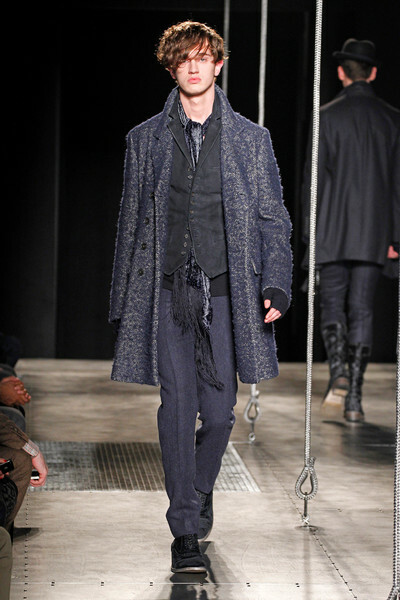 It seems any man will be able to find something Varvatos to add to his wardrobe coming fall. 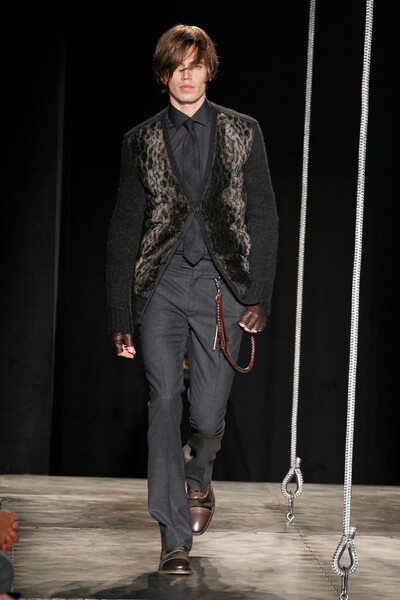 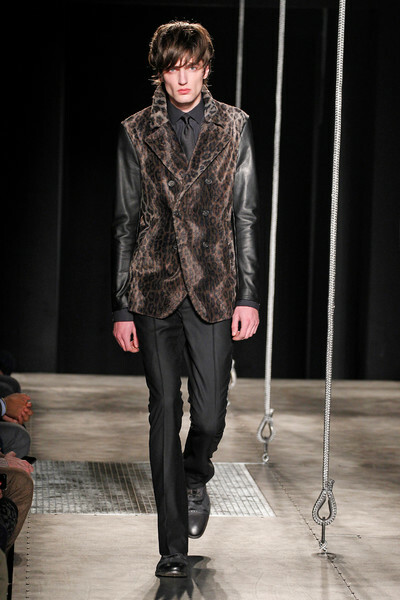 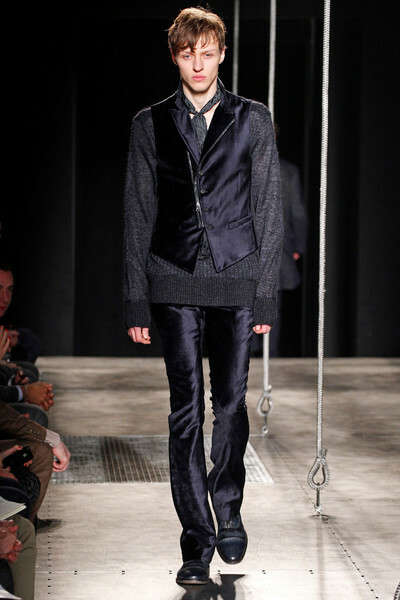 The designer presented a perfect mix of cool, young, street and gentlemanlike, dandy, chic. 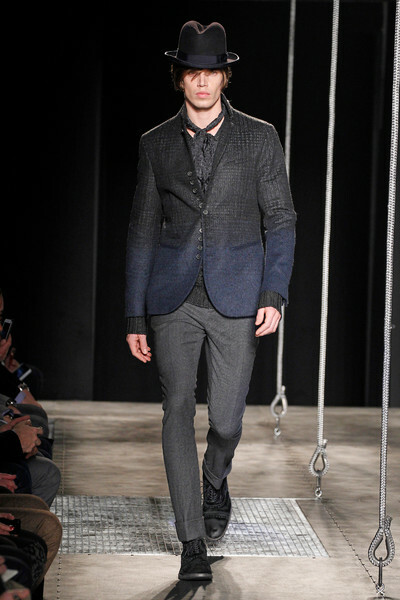 Three-piece suits for the office and skinny jeans worn with biker jackets for a cool outdoor concert. 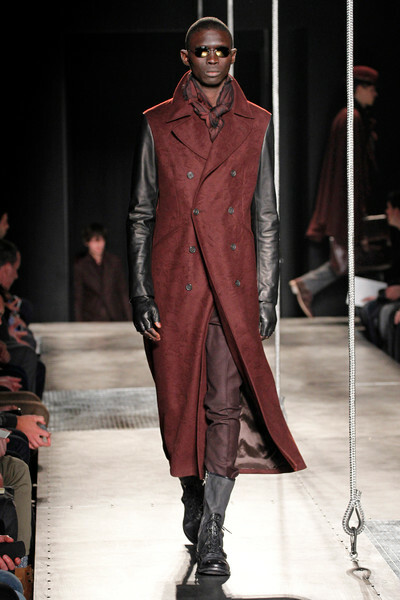 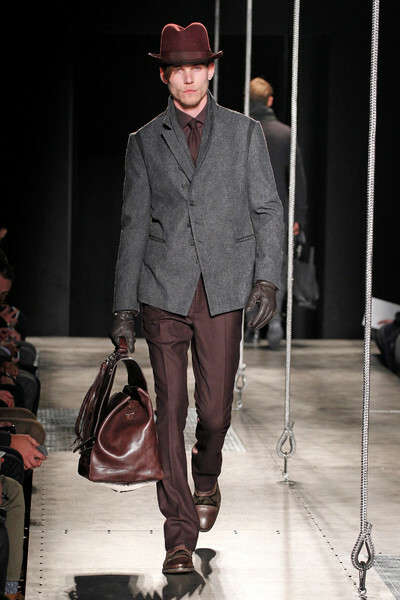 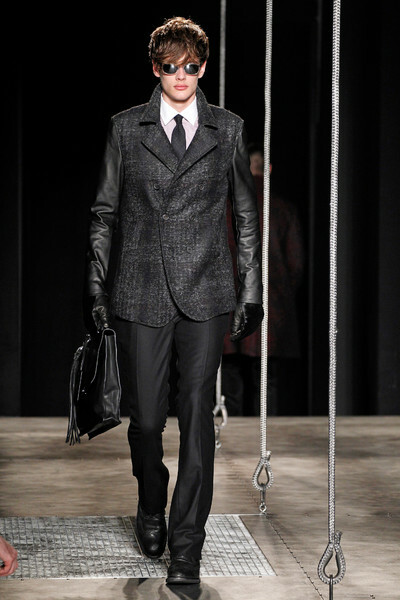 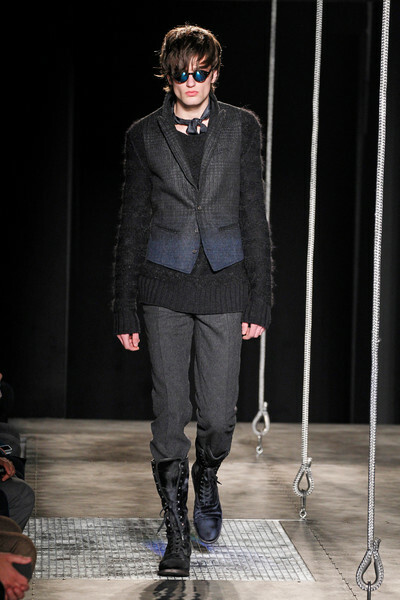 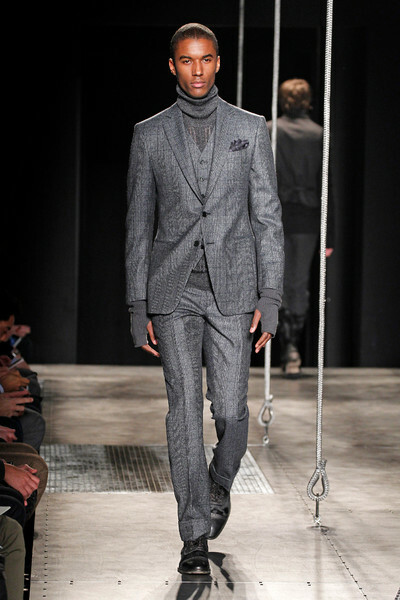 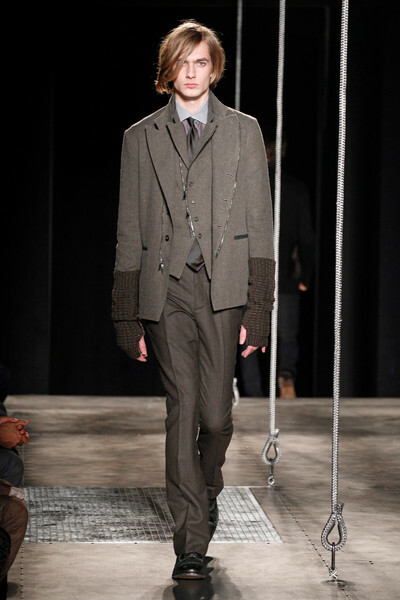 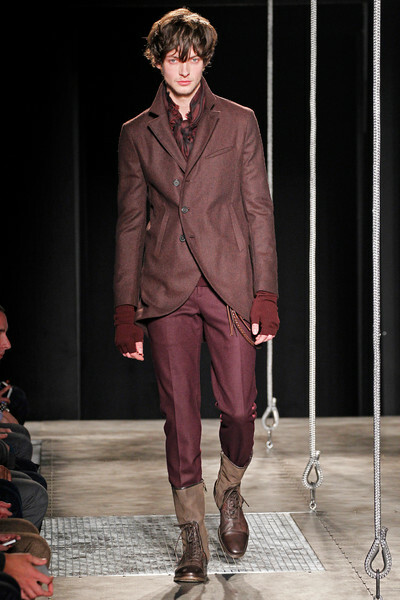 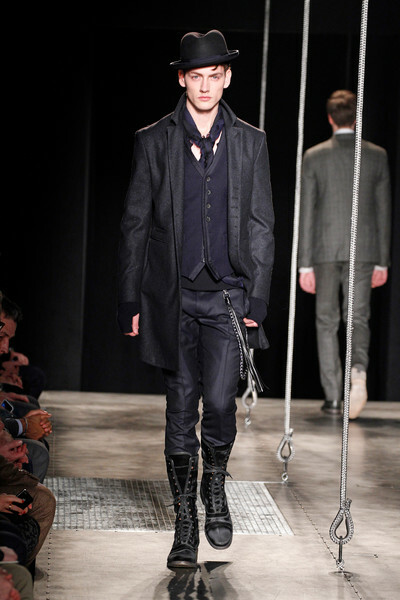 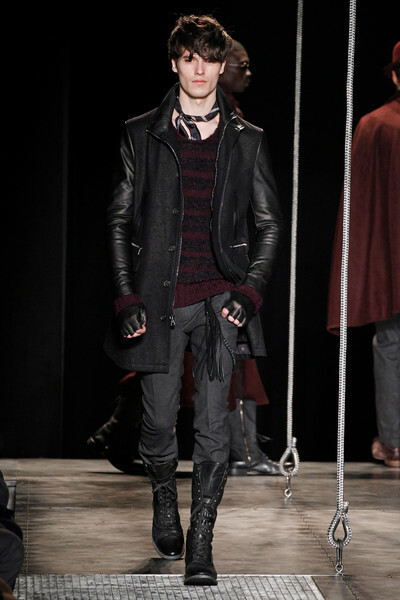 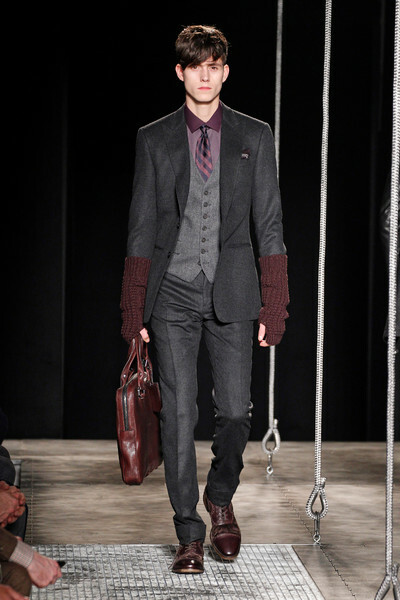 Yet no matter how versatile the looks were, they all got a Varvatos topping in the form of handkerchiefs (tied around the models’ necks), small mirrored sunglasses, fingerless gloves, felt hats and lace up boots. 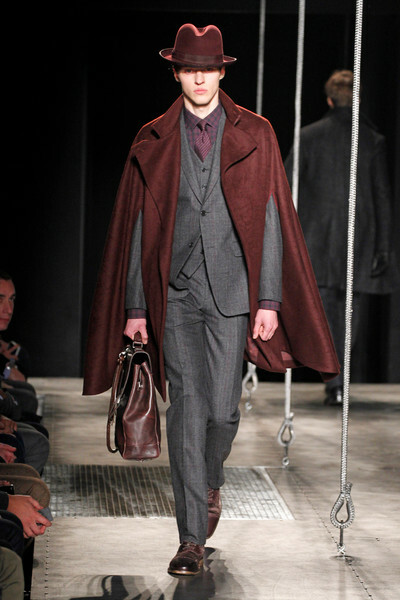 If it’s up to John velvet suits are a hit for 2013 and colorwise burgundy is still a popular option.